Countless studies have researched the effectiveness of different dietary supplements for cognitive function. Nutritional supplements are part of the comprehensive medical protocol referred to as MEND, or metabolic enhancement for neurodegenerative diseases, that incorporates optimizing lifestyle factors such as stress reduction, sleep and nutrition, hormone levels and a variety of other factors. Neurology Solutions, a comprehensive evaluation and treatment center based in Austin, Texas, specializing in Parkinson’s disease (PD), tremor and dystonia, provides nutritional supplement counseling to help counter the effects of neurological conditions as well as overall anti-aging. Our wellness center can help you, too. It is important to consult with your doctor before starting any supplement regimen, as some have negative interactions with standard medications. Some common dietary supplements for brain health include B6, B12 and Folate, which help regulate homocysteine levels; Astaxanthin, Omega-3s and Alpha-Lipoic Acid (ALA) for their anti-inflammatory properties; Vitamins E, A and C and Beta-carotene for antioxidant support; and Vitamin D and magnesium, which are tied to overall metabolic and brain function. Although several nutritional supplements are believed to have a positive effect on the brain, two lesser-known supplements, Bacopa Monnieri and magnesium-L-threonate, have been shown to play a role in improving memory, cognition and executive function. When considering dietary supplements for cognitive function and memory, Bacopa Monnieri and magnesium threonate are supported by several research studies as memory enhancers, whether managing a neurodegenerative disease or to help fend off age-related decline. Bacopa Monnieri is a creeping succulent plant that has been used in India for over a thousand years as a natural tonic; however, it was not until 2016 that scientists performed research to verify the benefits of this herb. One study used bacopa monnieri to alleviate acute and chronic stress and showed the supplement helps prevent depletion of dopamine and serotonin associated with stressful situations. These neurotransmitters are negatively impacted by Parkinson’s disease. 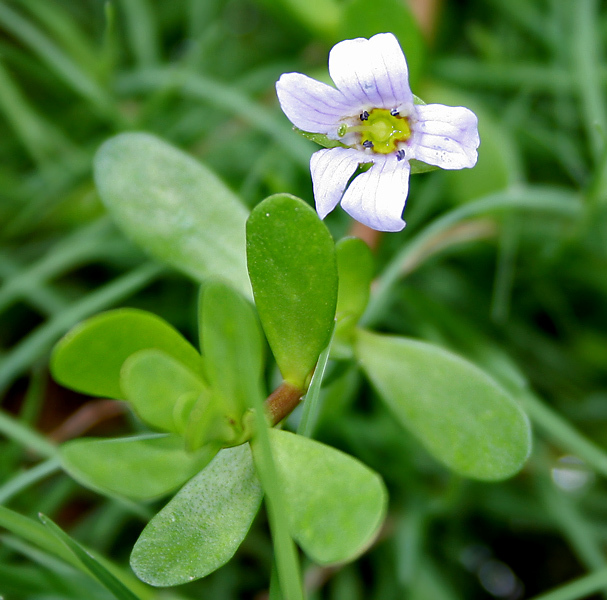 What have recent studies discovered about Bacopa Monnieri? The herb offers dopamine support to neurons in areas of the brain involved in memory, specifically the hippocampus and basal amygdala. Bacopa monnieri reduces oxidative damage from excessive mineral damage, including aluminum and mercury. Bacopa monnieri has been studied extensively in animal models which suggest considerable protection against age-related neurodegeneration. In human studies, positive results were evident with usage of about 4 to 6 weeks and include reliably improved memory both in healthy persons and in elderly people suffering from a decline in brain function. Magnesium threonate is a form of magnesium that can pass through the blood-brain barrier, a membrane that separates blood circulating into the brain from the central nervous system. The amino acid threonate helps to effectively increase magnesium concentration in the cerebral spinal fluid (CBF). Magnesium also is tied to improved sleep and reduced anxiety, both factors in Parkinson’s-related dementia, which impacts 20-30 percent of PD patients. Lab studies have documented that magnesium fortifies synapse formation associated with improved brain plasticity, a factor in neurodegenerative diseases. After six weeks magnesium-threonate was shown to improve working memory and executive function, with improvements to episodic memory after 12 weeks. Studies suggest that a full nine-year treatment could significantly improve a patient’s quality of life due to enhanced executive function. Our wellness clinic offers a Neuroscience blog designed to educate patients and the community at large on various areas of metabolism and promote longer and better quality of life for individuals with neurodegenerative disorders. Stay informed by frequenting our health and wellness center’s blog, and follow Neurology Solutions’ Youtube page to be notified of educational videos on lifestyle and treatment options for movement disorders. Join Neurology Solutions Movement Disorders Center’s email list to stay up to date on the latest in treatment and how to manage stress, stay healthy and maintain quality of life while living with a movement disorder. Neurology Solutions is accepting new patients seeking a specialist in treating Parkinson’s disease, dystonia treatment, essential tremor treatment, and age-related movement disorders in Austin. If you would like a movement disorder specialist consultation, please contact Neurology Solutions by email or call 512-865-6310 to schedule an appointment.